If Sangha write or speak like they don’t have a perspective then how are they to show they have an understanding of Buddha dharma? I write and speak definitely with a very clear view because I know if I do not then present generations will not be heard in the future as well. If we all parrot famous masters then we all will not pass on the great teachings of Buddha as we live them, as they are taught in sutras and by the great masters who lived, live, and to come. I’ve translated enough commentaries to know the style sutras are written is perceived by Western elites as complex, poetic, commanding, authoritative with some references given by famous great masters in the past who were ancient or contemporaries of theirs. We are the the masters of our time, we must write or speak Dharma with certainty. Academics limit content, paraphrase, interject their non-Buddhist ideologies and biases into their translations, commentaries and teachings in Buddhism. Yet they do not practice it, nor believe in any part of it. So how does this make them the best source for your Buddhist study? How does a profession based on guesswork (hypothesis are guesses), obscurification of: history, facts, and sources be at all a reputable source? 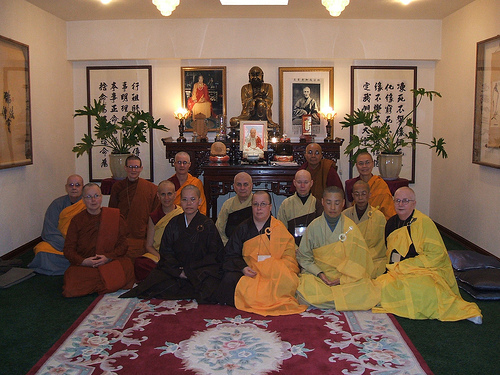 Sangha have struggled to achieve their education in Western based institutions facing this reality of extreme prejudice in what academics consider Buddha dharma and what is actually Buddha dharma. Academics will censure Sangha to preserve their personal views Buddha, Dharma and Sangha. Sangha have to concede the truth in order to receive their university education, even in Buddhist studies: of the content in the Tripitaka, the actual methods of Buddhist practices, even our traditions are not given respect. I’ve been told educators in Religious Studies, Psychology, nonpracticing Buddhist scholars that it is OK for them to take and profit from Buddha Dharma including my translations to make themselves money or give themselves authority or fame so they get more money. Academia repression should be cut out of our minds when we write or speak for they do not know the life we live or legacy we carry as Sangha, they do not believe or practices the virtues or precepts of Sangha. Apologetic styles, historical-critical contrasts, debates, etc are not to shape our voices as Samgha. We must speak, write and act in certainty when we teach from the Tripitaka, that will continue our legacy as Buddha’s descendant masters. Most of Academia does not follow present or the vast centuries of Sangha scholars (bhikshu and bhikshuni who study Tripitaka contents and translate them); a vast majority cannot translate and rely on their student’s dissertations or a very tiny pool of scholars who do translate. So they hypothesize instead and rely on media which is heavily skewed to commercialized contents. If Academia can reform itself and invite or hire more Sangha who are qualified to teach (must be qualified through scholarship not through MA or PhD by other Sangha) then there is hope they can learn from us without just riding our backs trying to get to the bank. I have also the development of my temple to consider as I have decided to have a small temple and not seek to grow bigger and expand to more sites. I hope to inspire resident Sangha here and elsewhere to do the same. You must protect yourself first while you are on the Path. Solid foundations can decay if you keep ignoring them they fall in disrepair. The problems in Sanghas in the West are confounded with desires for larger, expensive, and prettier. Ambition is a symptom of greed and dissatisfaction; it should not be a part of a Sangha’s strategy to propagate Buddha dharma. I don’t want my Sangha to be bothered with such distractions. I’m pretty sure nobody filled us on the facts of aging. For women (lucky US!) we have to deal with menopause issues. Like how we have problems losing weight because of menopause. And how about when your recovering from serious injuries? It’s harder, and yes an opportunity for weight to be added on. However, I am optimistic and I believe that I can lose this stubborn weight in spite of my injuries! I’m presently redesigning my nutrition and diet to avoid too much carbs, however, I’m really having problems being able to have enough proteins that would be fresh, yogurts and the like. I can’t afford it. I am relying on dried beans, rice, and whatever veggies and fruit that are thrown away by the grocery store. It’s not often I get to have fresh and I treasure it! I’m considering going out for alms rounds, something this town has never seen. I need to have fresh fruit and veggies and yes … some tofu! 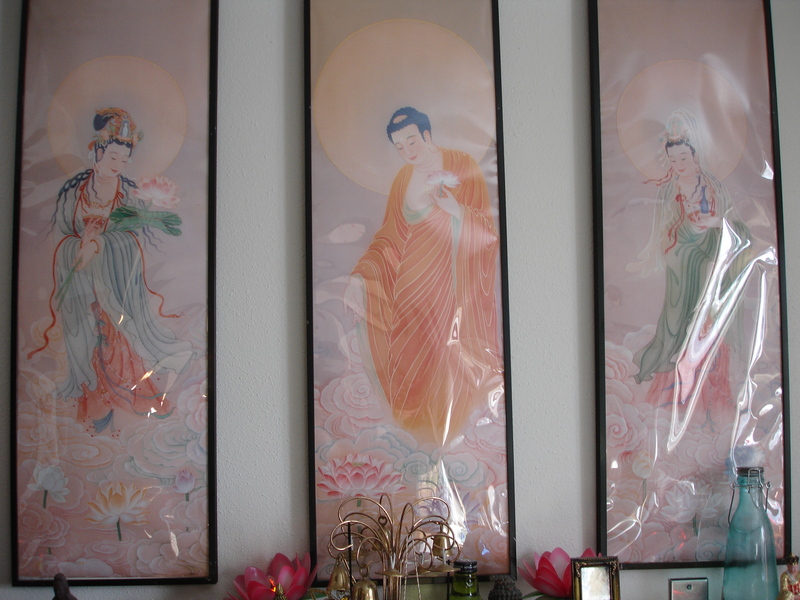 January to March 2015 Winter Retreat Master will be able to meet with you by appointment, feel free to visit. Ven. Long Yun will be the guest speaker with Ven. Hongyang supporting with commentary.